Onlinepanel.net is one of the newer paid survey sites. But is Online Panel NET legit and a site worth joining, or is it just a waste of time? It of course depends a lot on your expectations and preferences. In this Online Panel NET review you will therefore find all the details about what this site has to offer, and it will be compared to other similar sites, so you can easily see, if this is the site for you to join, or if you should rather join other survey or get-paid-to sites instead. What is Online Panel NET and what does the site offer? 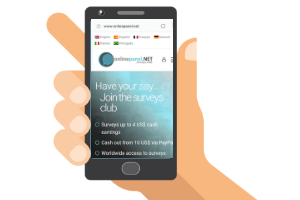 Online Panel NET was launched in 2018, so it is one of the newer survey and get-paid-to (GPT) sites. It has however been created by market researchers with more than 20 years of experience, and it has the company Buy Biz Charts Ltd. behind it. So I can reveal right away that Online Panel NET is not a scam but is a legit site, and it is a site where it is possible for you to earn actual money and get paid. That it is legit does however not mean that it will necessarily be worth joining, and in my opinion it has both good and bad sides. But let’s go over what it has to offer, so you can see and judge for yourself, whether it is worth joining or not. There is quite a lot of paid surveys available on Online Panel NET. It can however at first be a little confusing to find out how to take them, as there are several categories with surveys. Online Panel NET has several categories with surveys. The above image just shows three of the categories that have surveys. In addition to this, you can find further surveys through the category called “all favorites” and “popular offers”. The reason for this is that Online Panel NET does not in itself have surveys. All the surveys on the platform are offered through what is called third party providers. So you are taking the surveys from other providers on Online Panel NET, and will get paid into your Online Panel NET account. There are many surveys and GPT sites that offer surveys like this, and it works well, and it means you will find many surveys here, and often several opportunities every day. You do however yourself have to login and check for available surveys, as you will not be notified via email about available surveys. The disadvantage of a platform that only offers surveys this way is that you at times have to be a bit patient to find the surveys you qualify for. But with a bit of patience, it is possible to figure out which providers are best for you and just focus on these. Since the surveys there are through third party providers, the same surveys are also often offered at other survey sites. In my experience many of the same surveys will give you a higher reward by taking them through one of the top paying survey sites. But you can definitely find a good amount of surveys on Online Panel NET, and it can be a great site to get access to many kinds of surveys within one platform. Online Panel NET has a section with tasks. There are not a lot of these tasks, and in my opinion the name “tasks” is a little misleading for what you actually find here, and it is the thing I like the least about the platform. The tasks section has kind of a misleading name. It is not a such tasks, as you will often find tasks on other survey sites, or as the micro jobs mentioned in the next section. It is just offers Online Panel NET get paid a commission to promote. Nothing as such wrong with this, but you should be aware that it is not a task you will get paid to do. 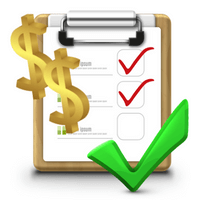 It is promotions to sign up for other survey platforms – by promoting these to you, they will get a commission. There is nothing wrong with this, as they of course also need to make money developing and running the platform. And all the tasks I have seen there are for legit offers. I just think it is a bit strange to call it tasks, and make it sound like you can do something to earn, when it more belongs in an offer section. Also, on the image above, you can see one of the “tasks” I could earn by doing was from Super Rewards – when clicking this, I was just taking to the “popular offers” section on Online Panel NET. So that can be a bit confusing. Figure Eight are small micro online jobs you can do to earn some extra money. The tasks are usually fast to do, and it can for example be to verify data on a website, do some fact checking, and all kind of other small tasks. They do not pay much in the beginning, but as you do more of these tasks, you will qualify for higher paying tasks, and you can end up making some nice extra money like this with patience. If you like to do these tasks, there are however sites with better earnings on Figure Eight tasks, as they offer different bonuses. But these tasks are in general definitely a good way to make some extra cash – just remember that it will take some patience to get to the jobs that pay higher rewards. The deal and trials section on Online Panel NET is what on many other similar platforms is called an offer wall or paid offers. On Online Panel NET they are divided into 3 sections. The deals and trials section has 3 ways to earn or save money. You can find different kinds of promotional offers you can sign up for and get a bonus, you can do online shopping and get a bonus for certain purchases, and you can find free trials for different services, you can sign up for to get a bonus. The exact offers you will find here depends a lot on the country you live in. It can be worth checking out this section once in a while, as you can sometimes find some great bonuses here. But always make sure to check the conditions of the offers before taking them, so you are sure what the conditions are. Some of the offers you have to pay for, but they can also sometimes even give a higher bonus than your investment, where others will not be so good offers. Also, some of the free trials might continue as a paid subscription, if you forget to cancel it, so be sure to check out the conditions and know what you are saying yes to. The app section on Online Panel NET is closely related to the offer sections. The difference is that you here can get paid to download certain games and apps for your phone. There are sometimes some nice bonuses here. But again just make sure to read the conditions before taking any of the offers. It is rarely enough to just download the app/game to get the bonus. Often you have to have it installed for a certain time or reach a certain level, if it is a game. And it is nice to know exactly, when you can expect to get the reward, before downloading the app. As you can see, Online Panel NET has a decent amount of opportunities to earn. When you take a survey, do a task, etc, you get paid in points. These points can then be exchanged into cash and is paid out through PayPal. 10 points is worth $0.01. PayPal is the only payout method offered on Online Panel NET. Personally, I do not mind this, as it is a great and easy way to get your rewards, and I therefore actually prefer sites that offer PayPal as a payout method. But if you live in a country where PayPal is not available, or if you do not like to get your rewards this way, Online Panel NET is not the right site for you. You have to earn $10 (this is 10,000 points) to get your earnings out. Once you have reached this amount, your money will automatically be transferred to your PayPal account. Be aware that they payout will take at least 30 days from you have earned the points, as Online Panel NET needs final confirmation from the providers before paying out. This is quite a long wait compared to some of the fastest paying survey sites, where you can sometimes get paid within hours after having reached the payout threshold. So the wait to get paid is a little long, but if you use the site actively and use many of the options it has, it will eventually mean that you will regularly get rewards, and then you will not really notice the wait. How much money can you make on Online Panel NET? Online Panel NET has quite a lot of opportunities to earn. Sometimes it can take a bit of patience to find the surveys you qualify for, but not more than most other survey sites that have surveys from similar providers. So it is definitely a site, where you can earn some nice extra money. Especially if you also keep an eye on the offers and take some of the good ones. Exactly how much you can earn of course depends on how active you are. You can find opportunities to earn every day, and if you take all the surveys and offers that are available, you can earn some nice extra cash. As mentioned earlier, the rewards on Online Panel NET is however not quite as high as on some of the top paying survey sites, but you can still make some nice extra cash here, and it is nice to have so many opportunities in one platform. In general you should however remember that paid survey sites and GPT sites are not a way to replace a full-time income. It is a way to make some extra money on the side, and you can also make some really nice extra money, but you should not do it, if you expectation is to become rich or get a full-time income. Being able to use a survey and GPT site on mobile is a great way to make some extra money while waiting, when you have a little break etc. It is possible to use Online Panel NET on your mobile. It has a fully optimized website for mobile, so it is as easy to use on mobile as on desktop. As mentioned, it also has a whole section with app offers, and these you can of course only take by logging in from your mobile. So if you decide to join Online Panel NET, it can be worth logging in a checking out what it has to offer on your mobile once in a while. Who can join Online Panel NET? In theory you can join Online Panel NET from any country. It does however have the most opportunities for the US, Canada, Australia, UK, and Germany. It definitely still has opportunities for other countries as well, but in the countries mentioned above, you will find a lot more opportunities. The platform is also available in several languages, so it can be easy to use, even if English is not your first language. It is currently available in English, Spanish, Italian, French, German, and Portuguese. No matter which country you live in, I would however also suggest you to check out the top paying survey sites in your country, as there might be sites that are a better match for you. If you should need any support with your account, you can contact Online Panel NET’s support. I have been in contact with the company a few times myself, and I have received a quick reply. So that is a good sign. I have however not needed serious technical support or had problems with my earnings and similar. So cannot say how quickly you can expect a reply, if you should need help with this. It can at first be difficult to find info about how to contact the support, as there is no place to submit a form after you login. But if you scroll all the way to the bottom of the page, you will see an email address for support. So if you need support, this is where you find the email to contact them. Online Panel NET has both good and bad sides. So let’s finish this review with a quick sum up of the pros and cons, so you can get a better overview, before deciding if you want to join or not. Overall, Online Panel NET is a legit site, and it can give you some good chances of earning some extra cash on the side. Especially if you live in US, UK, Canada, Australia, or Germany. It is not one of the absolute top survey sites, as it has a little lower rewards than some other sites, but it can be great to join in addition to other sites. The payout threshold is fairly low, and with the many opportunities it offers, it should not take you long to reach, so it can be worth considering. How to join Online Panel NET? If you want to join, it is very easy to join Online Panel NET. You just click the link below, which will take you to the sign up page. It only takes a couple of minutes to sign up, and as soon as you have confirmed your account, you will be able to check out the surveys and offers it has. If you have any comments, questions, or have any experiences with Online Panel NET yourself, I would love to hear from you in a comment below. Online Panel NET is one of the newer survey and GPT sites. It is legit and it has a good amount of opportunities to earn. It does not offer as high rewards as some other sites, but it has a low payout threshold, daily opportunities, and pays out through PayPal. You will be paid out to the email that is attached to your account. You can change your email after you have signed up, but the easiest is to sign up with the email you are also using for PayPal.